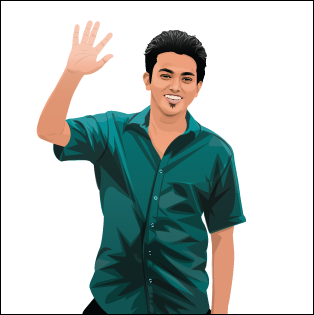 There are few sourajit saha. Some from Bose Institute, some from LinkedIn, one is from Google Scholar. And my main target is to outrank them all within three months. If everything is going well, it's not such an impossible task. 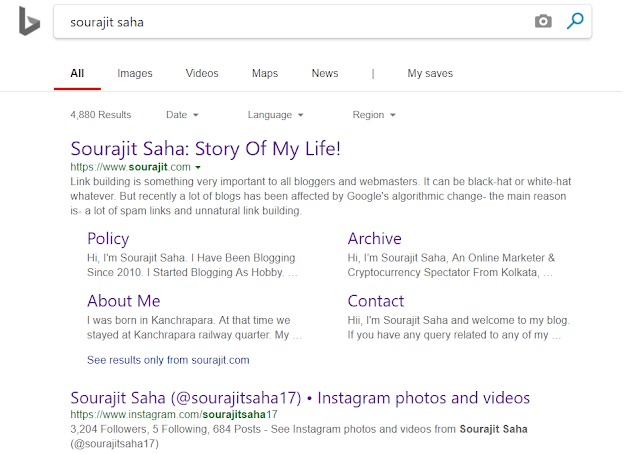 And another thing I have noticed, Google crawls and index Pinterest pictures, but it takes a lot of time to do though some of my Pinterest pictures have been indexed on google image search result. 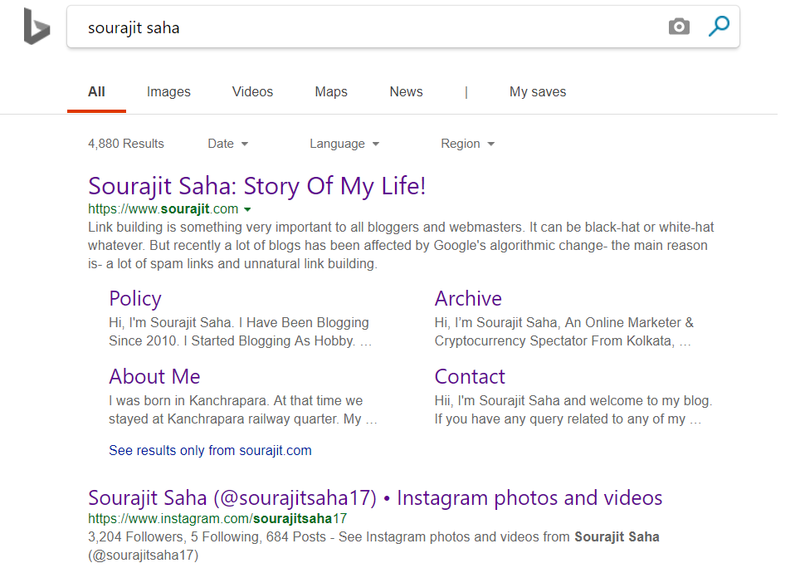 The current domain authority of sourajit.com is 23. I think it could be better. 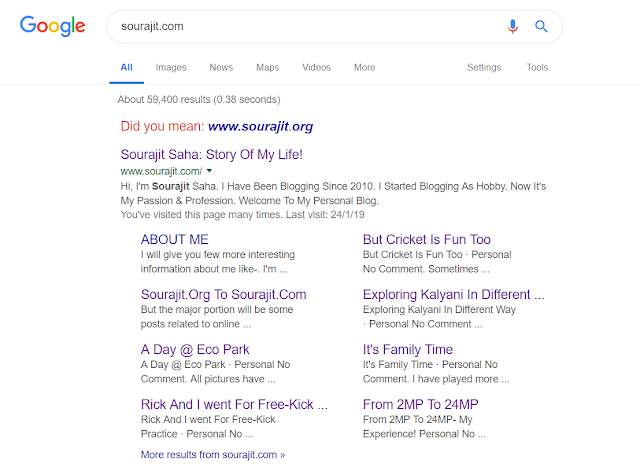 And from my experience, content does not matter in domain authority at all, but backlink matters. If you get some quality backlink from a high authority site, your domain authority will increase. 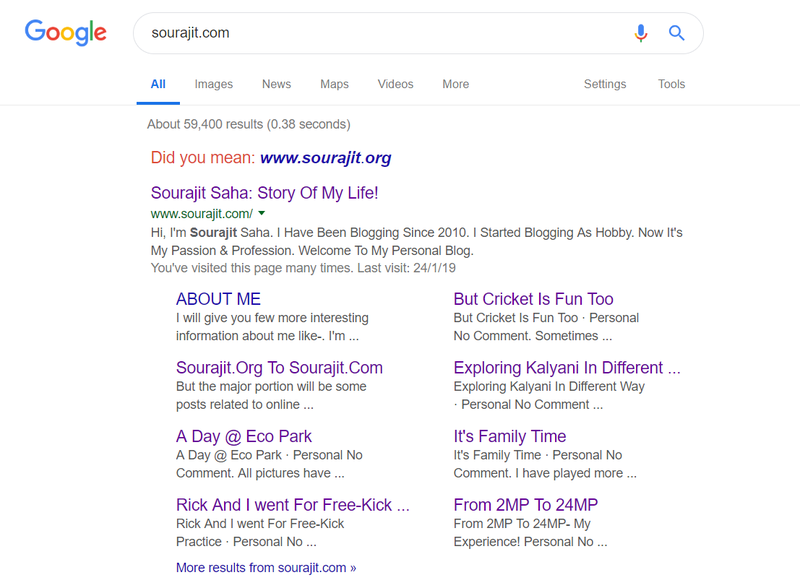 Current domain rating of sourajit.com is- 34, which is really promising and ahrefs rank is- 2278117. If I check this ahrefs data after a month, maybe I'll understand the difference. On 21st March, it will be two years old. It's far better to work on a two years old domain with good authority than a completely new domain with no authority. No more now. If you have any question or query related to this article, feel free to ask me here. Just do drop a comment below the box. And if you find this article share-worthy, then please share it with your friends via Facebook, Messenger, Google Plus, Twitter, Pinterest, WhatsApp etc. Take care.